There’s no question that orchestrating a move tends to be overwhelming—physically, emotionally, and if one is not careful, financially. From choosing removals packaging that will ensure your possessions have a safe journey, to debating on what to sell and what to keep, to securing a mover, there’s no end of things to take care of. For the very best packing tips, visit http://sofamovers.co.uk/online-packaging-shop as well as following the points below. The more you have, the more your move will end up costing you, and the more work it will be for you, too. As such, you should rigorously declutter your home prior to packing anything up. A good rule to follow is that if an item is not either very valuable, essential, or irreplaceable (e.g. family heirlooms), you should probably consider getting rid of it and purchasing a new one later. Moves can easily run over budget, especially if you spend most of your time cleaning, packing, and storing things and decide to leave getting an estimate on the cost of the actual move for later. Once you have decluttered and thus have a good idea of what you will be taking with you, contact a removal company for a free no-obligation quote so that you have a ballpark figure of what your move will cost. If you find it will be more expensive than you would like, you can always get rid of a few more items and get another quote afterwards. 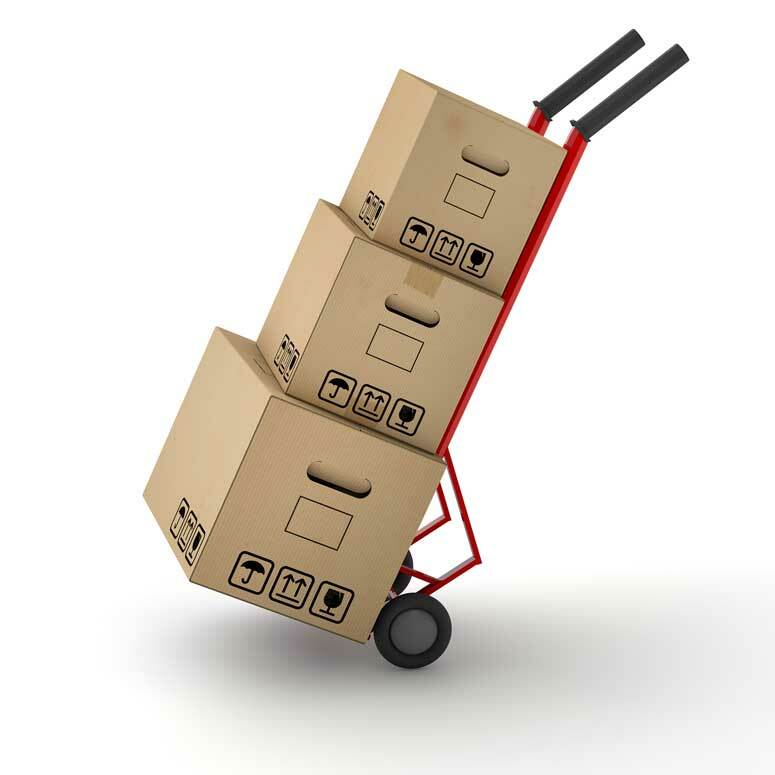 Your removal company may also be able to offer you useful advice on choosing the best removals packaging and on how to pack boxes securely, so it’s never a bad idea to involve them early on in the game. Pack things logically (for example, kitchen appliances and utensils together, not mixed in with bedroom linens) and be sure to label each box clearly. It’s usually worthwhile to list what is in each box in some detail, too—rather than just labelling a box “kitchen”, for instance, list in bullet points, “coffee maker, kettle, spoons, toaster,” etc. The one exception to this rule is when packing very heavy items like books; grouping them all together in one large box increases both the risk of injury and the odds of the box bursting open while being carried. Try to disperse heavy items by packing them with lighter ones, such as packing a box with half or one quarter books and filling the rest with a child’s stuffed animals. And of course, always label any boxes which contain fragile items with big, bold, eye-catching labels stating “FRAGILE”. Never, under any circumstances, should you use old boxes and crumpled-up newspaper to secure your valuable items for transit—damage will almost certainly occur, even if you use the most professional of movers. Invest in proper removals packaging, such as sturdy new boxes intended to be used when moving, wrapping paper, heavy-duty packing tape, and bubble wrap. Likewise, take the time to wrap each individual item carefully (especially glasses and plates) and tape down bubble wrap so that it encases the item fully and will not move during transit. You should “cushion” the bottom of each box with a mat of extra packing material, too. A little extra care can prevent a lot of extra heartache and expense later. If you don’t have time to practice due care when packing, hire professional packers—they will get the job done both properly and quickly, allowing you to get on with the business of moving. Some removal companies offer extras such as the transit of special items (pianos, artwork, and other things too large and delicate to be moved in the standard way) or even house cleaning services, saving you a great deal of time and stress. Even if the company does not, they can often refer you to trustworthy companies in your local area who do handle these matters. Moving is a big job, especially if you are elderly, looking after small children, or have a very demanding career. As such, you should try to make the task easier by enlisting outside aid. The less overwhelmed you are, the less likely it becomes that the job will be rushed and items therefore get lost or broken. You can always do something nice to reward those who help, such as throwing them a pizza party afterwards to say “thank you”. Van Removal Service: Who Can Benefit?